The Kimpton Service team recently completed a boiler replacement for the amazing Claire House Children’s Hospice in Wirral. In their own words, they help seriously and terminally ill children live life to the full by creating wonderful experiences and bringing back a sense of normality to family life. Our work involved the team replacing two existing cast iron boilers with three Strebel Condensing Boilers. They are far more efficient and will offer much lower running costs going forwards. But with a place like Claire House, you obviously can’t ever leave them without heat or power, so a back-up was needed. Enter Mobile Plant Rooms who provided a trailer mounted, triple boiler module to deliver heating whilst the old ones were offline. 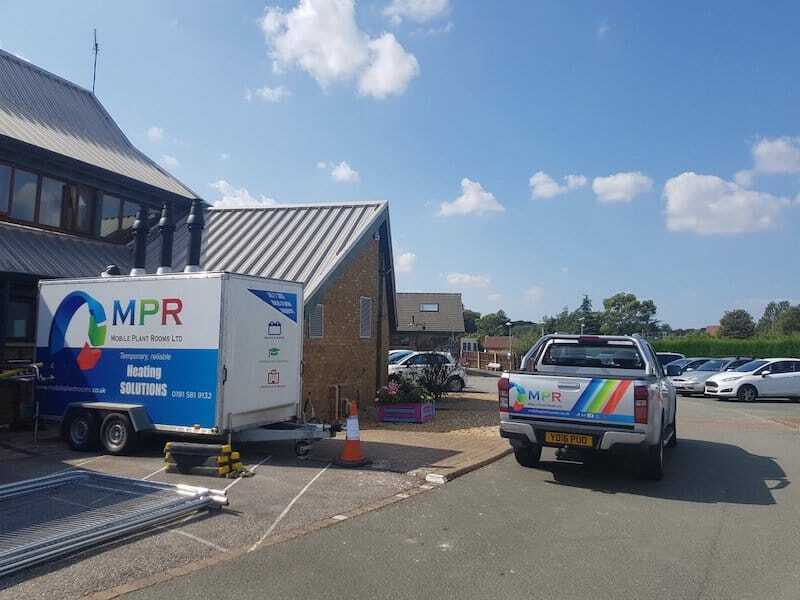 The modules were connected to the existing gas and electrical supply and provided a temporary heat source for the existing heating and hot water systems of Claire House, whilst we carried out the boiler change. The new system also included the upgrade of an existing plate heat exchanger to provide hot water. These have made big efficiency strides in recent years and deliver a much higher output than previous generations. The design of a plate heat exchanger can be traced as far back as the 1920’s and use the heat from the boilers to heat the water for the site too. It’s a lovely simple, efficient technology and you can see how one works here. This job was scheduled to take two weeks and the boiler replacement was completed on time and budget by our highly skilled planned and preventative Service Team.